We love events that support good causes. 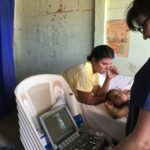 We also love events that empower, motivate and inspire enabling us to do even more good and to give from the overflow. In keeping with that theme, over the last several months, Events to do Good has had the honor of coordinating Unity on the Bay Speaker Series featuring Deepak Chopra, Marianne Williamson and now Les Brown. For more information call us at 832-819-0467. Miami, FL – May 11, 2018. 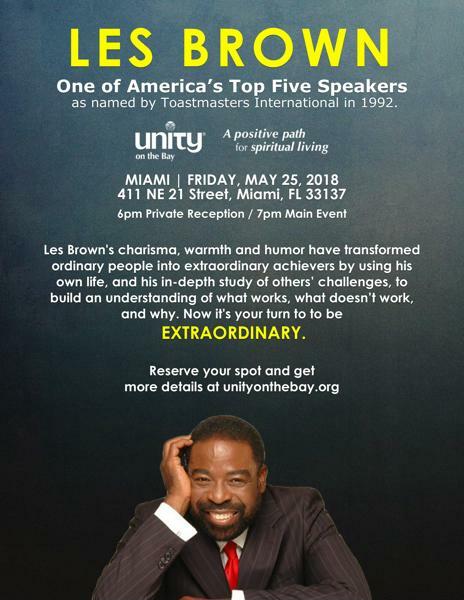 As a premier Keynote Speaker and leading authority on achievement for audiences as large as 80,000, Les Brown comes to Unity on the Bay, in Miami, FL, on Friday, May 25, 2018 to energize people so they can meet the challenges of the world around them. Born in an abandoned building in the low-income neighborhood of Liberty City, Les’ own life has been one of challenges. He uses his life story as a way of motivating people to not be complacent and to reach for their dreams. A stumbling block in elementary school was when teachers were sure that Les wouldn’t amount to anything. However, he used determination, persistence, and belief in his ability to go beyond being a sanitation worker to unleashing a course of amazing achievements including broadcast station manager, political commentator, and multi-term state representative in Ohio. He became a Miami success story! 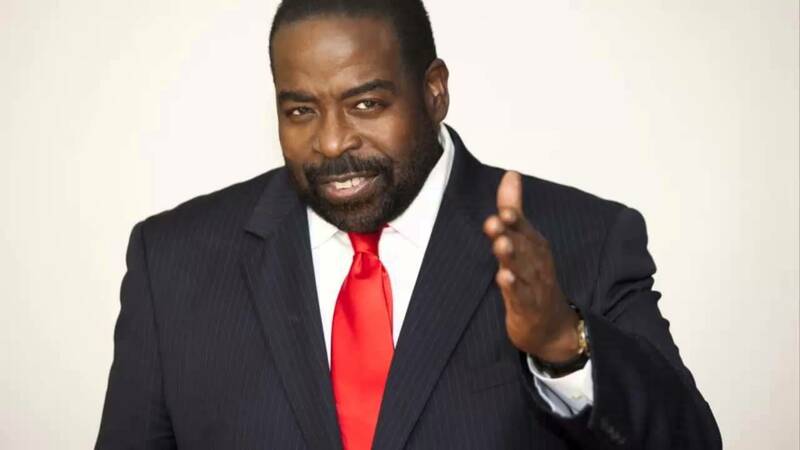 Now one of the world’s most renowned motivational speakers, Les Brown is a dynamic personality and highly-sought-after resource in business and professional circles for Fortune 500 CEOs, small business owners, non-profit and community leaders from all sectors of society looking to expand opportunity. For three decades he has not only studied the science of achievement, he’s mastered it by interviewing hundreds of successful business leaders and collaborating with them in the boardroom translating theory into bottom-line results for his clients. On Friday, May 25, 2018, doors will open at 6pm for Platinum Ticket holders to enjoy a private reception with Les Brown followed by the main event at 7pm. Tickets are available for purchase on Unity on the Bay’s website, unityonthebay.org. Platinum tickets are $119 + ticket fees and Gold Tickets are $65 plus ticketing fees. 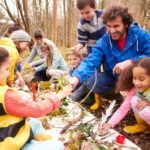 Unity on the Bay is an inclusive community serving as a catalyst for spiritual awakening, evolution, and action. 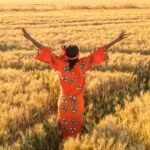 Our vision is humanity inspired to its divinity. The Unity Movement, also referred to as “A Positive Path for Spiritual Living”, started over 100 years ago in Kansas City, Missouri, by co-founders Charles and Myrtle Fillmore. Their teachings arrived in Miami in 1927 creating the thriving community that today we know as Unity on the Bay. We are a diverse community of 2,000 congregants from various ethnic, religious, and socio-economic backgrounds. Unity on the Bay is a member of the Unity Worldwide Ministries, headquartered in Lee’s Summit, Missouri. For more information on Unity on the Bay please visit www.unityonthebay.org.